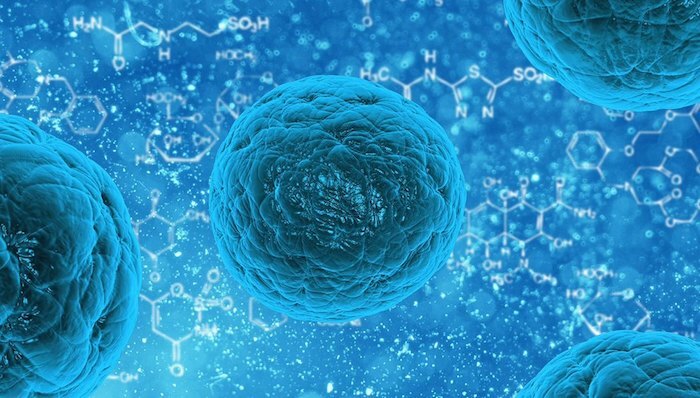 Stem cell therapy is a relatively new medical procedure that is used to prevent, treat or alleviate the symptoms of a disease, injury or a condition. To understand what stem cell therapy is all about, first you need to understand what stem cells are. These are cells that are found in certain parts of the body that are usually undifferentiated or unspecialized and therefore have the ability to grow into any type of cell. In adults, the cells are mostly found in the bone marrow. Stem cells can also be sourced from human embryos or from the human umbilical cord. Stem cell therapy normally involves using stem cells extracted from the patient and injecting them into injured or diseased parts. Since stem cells can grow to become any other type of cell, they normally help repair damaged cells and in the process treat a disease or ease the symptoms. Given that the field of stem cell therapy is relatively young, only a few applications can be considered safe and effective. Stem cell therapy has been proven successful in treating diseases and conditions affecting the blood and immune system including sickle cell anemia, leukemia, lymphoma, MDS among others. Patients who have gone through chemotherapy for different types of cancers can also undergo stem cell therapy to help fight the disease and also restore normal body functions. Patients who have suffered severe burns can also turn to stem cell therapy. Stem cells are used to grow skin grafts which are implanted on the patient to help them grow new skin or heal their burned skin. Another procedure similar to this one has been proven to help heal and repair injured cornea. There are many cases where patients’ sight has been restored by using stem cells. Using stem cells derived from a human embryo has elicited a lot of controversy for ethical reasons. Even when the cells are derived from adult bone marrow, the procedure may be ineffective or lead to another condition called the graft vs host disease. For this reason, stem cell therapy is still highly regulated in the US and most European countries. In these countries only a few proven procedures are allowed. Other countries, however, have more relaxed laws on this procedure. Asian countries such as China, South Korea, Thailand, Singapore and India all permit more stem therapy procedures. In North America, Mexico is a major destination for stem cell therapy. In Europe, Ukraine, Austria, Turkey and Germany are the leading countries. A lot of research is currently being carried out in the above mentioned countries and even in the US and European countries where stem cell therapy is highly regulated. There are many clinical trials currently on going, with most researchers reporting positive and promising results. Below are the main areas of interest. A lot of research is directed towards neurodegenerative diseases such as Alzheimer’s disease, Parkinson’s, Amyotrophic lateral sclerosis and multiple sclerosis. The focus is to see whether stem cells can be used to replace damaged brain cells and thereby reverse the effects of such diseases. The potential of stem cell therapy to be used to treat brain and spinal cord injuries is also being studied. Other researchers are focusing on the potential of stem cell therapy to treat heart disease. The idea is that stem cells can be used to regenerate heart muscles, secret growth factors or stimulate growth of new blood vessels to replace damaged heart tissue. Diabetes is another condition that can be potentially treated with stem cell therapy. Research is being conducted into how stem cells can be made to grow into pancreatic beta cells, which can replace malfunctioning beta cells in a patient. The field of orthopedics and wound healing is another area receiving significant attention. Researchers hypothesize that joints, bones, ligaments and tissues can recover faster and more effectively when stem cells come into play. The potential of stem cell therapy to provide a solution for infertility is also under investigation. Even a potential cure for HIV/AIDS using stem cell therapy is under investigation. On the Cosmetic side, researchers are also looking into the potential of stem cell therapy to facilitate teeth regeneration and hair loss reversal. Many experts predict that significant breakthroughs will be made in most of the above fields, especially with improving technology and more insight into the topic. Stem cell therapy is predicted by many to be the next big breakthrough of modern medicine. Unfortunately, many insurance companies do not yet provide cover for stem cell therapies. They may cover certain aspects of the procedure but not the whole procedure. With all the promising research however, it is very likely that insurance companies will start providing cover for these procedures, especially after the treatments have been proven safe and effective. If you are researching or have received Stem Cell Therapy, I want to hear from you! Share your experience with me here! DISCLAIMER: The information contained on this website (www.jasonguck.com) is not intended nor implied to be a substitute for professional medical advice, it is provided for educational purposes only. You assume full responsibility for how you choose to use this information. Always seek the advice of your physician or other qualified healthcare provider before starting any new treatment or discontinuing an existing treatment. Talk with your healthcare provider about any questions you may have regarding a medical condition. Nothing contained on this website is intended to be used for medical diagnosis or treatment.